Hear ye! Hear ye! 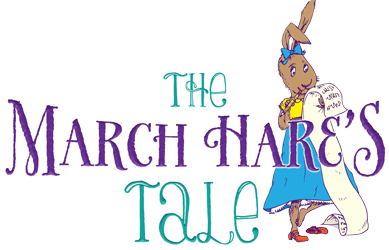 The Queen of Hearts is to marry Wonderland’s King of Diamonds, and in preparation for wedding festivities, the king’s social director, March Hare, must tackle a very long list of onerous undertakings requested by the queen. But plans go down the rabbit hole when March Hare learns of the evil queen’s scheme to take over the kingdom by feeding everyone lunacy-inducing cherry tarts — a royal ruse so delicious, even the king cannot resist! When the citizens of Wonderland turn even madder than the Hatter, March Hare and friend Megs come up with a plan. And not a moment too soon — it looks as though March Hare is about to lose her head as she stands trial in front of a rigged jury! Read more...Luckily, her friends come together and save the day with a solution that’s nothing to sneeze at! This delightful one-act with a cameo from Alice herself highlights the strength of friendships and the power of perseverance.